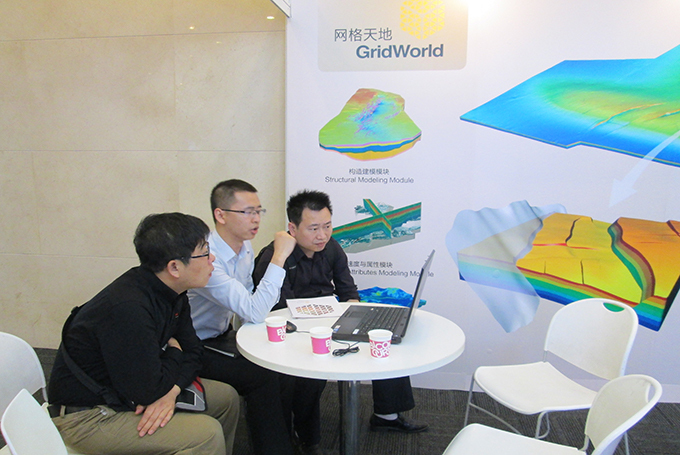 In this exhibition, Mr. John Chapman from HALLIBURTON visited our booth, showing great interest in our geological modeling software and its advantages. He had a technical exchange with our general manager, and they reached an agreement about the cooperation of Landmark and DepthInsight®. After the exhibition, its director of pre-sales contacted us and made an appointment about technical discussion after the May Day holiday.